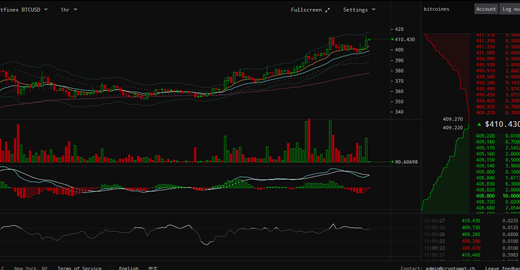 New Bitcoin Chart, Detailed, where you can use indicators and different exchanges prices. A Cryptowatch account allows you to visualize your trading relative to the market. In the near future the interface will also let you make trades. .